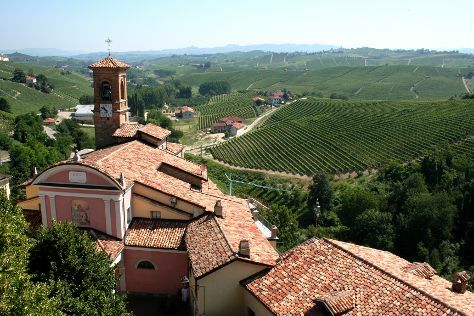 Barolo is a comune (municipality) in the Province of Cuneo in the Italian region Piedmont, located about 50km southeast of Turin and about 40km northeast of Cuneo. Start off your visit on the 30th (Thu): examine the collection at WiMu - Museo del Vino a Barolo and then step into the grandiose world of Castle of Grinzane Cavour. To find reviews, maps, more things to do, and tourist information, use the Barolo itinerary builder. San Francisco, USA to Barolo is an approximately 29-hour flight. You'll lose 9 hours traveling from San Francisco to Barolo due to the time zone difference. Prepare for a bit cooler weather when traveling from San Francisco in March: high temperatures in Barolo hover around 55°F and lows are around 35°F. Wrap up your sightseeing on the 31st (Fri) early enough to travel to Alba. Alba is a town and comune of Piedmont, Italy, in the province of Cuneo. 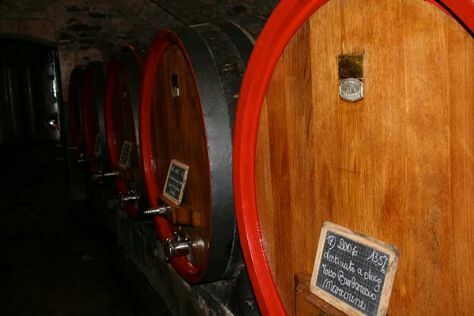 On the 31st (Fri), do a tasting at Cantina Del Glicine, then learn about winemaking at Cantina Mauro Sebaste, and then don't miss a visit to Centro Storico. For ratings, photos, traveler tips, and tourist information, refer to the Alba tour planner. Alba is just a stone's throw from Barolo. In March, plan for daily highs up to 51°F, and evening lows to 40°F. Finish up your sightseeing early on the 31st (Fri) so you can travel to Turin. You'll find plenty of places to visit near Turin: Team Adventure (in Cumiana), La Venaria Reale (in Venaria Reale) and Sacra di San Michele (in Sant'Ambrogio di Torino). There's lots more to do: take in the spiritual surroundings of Basilica di Superga, examine the collection at Museo Nazionale del Cinema, explore and take pictures at Juventus Stadium, and admire the landmark architecture of Palazzo Reale. To find other places to visit, photos, and more tourist information, use the Turin trip generator. Drive from Alba to Turin in 1.5 hours. When traveling from Alba in March, plan for a bit warmer days in Turin, with highs around 58°F, while nights are about the same with lows around 43°F. You will have some time to spend on the 8th (Sat) before leaving for home.